Alien: Blackout is an extremely well-crafted survival horror game from D3 Go! It reminds me of Five Nights at Freddy’s. Amanda Ripley is trapped in a vent of a damaged Weyland-Yutani space station and she must escape before the bloodthirsty xenomorph kills her. Thankfully, help is near as a crew of scientists and engineers jump on board the station. Little do they know that danger lurks around every corner of the station and it’s up to Amanda to assist them to complete various tasks that will help her and the crew escape from the wrecked space station. 1. On the upper left corner of the screen is your timer. In each level, you will have 8 minutes to finish all objectives before time runs out. The power required to operate the map will last only for eight minutes. Once these precious minutes are over, you will lose power, resulting in a total “blackout”. You guess what happens next! 2. On the upper right corner of the screen is the available power. The number below suggests that you can only interact with 5 elements on the map at a time. This includes turning on motion trackers and closing doors. You lose a unit of power when you turn on one motion tracker or shut down an access door. If there are 5 motion trackers and 4 doors on a map, and you have activated 3 motion trackers, you can only interact with two doors. You will have to juggle with map controls and allocate power properly to avoid losing all interaction with the map. Please note that you don’t use power when you tap cameras on a map. 3. Just below “Available Power” are a set of motion trackers under “Devices”. A motion tracker lets you monitor the xenomorph’s movement on the map itself. 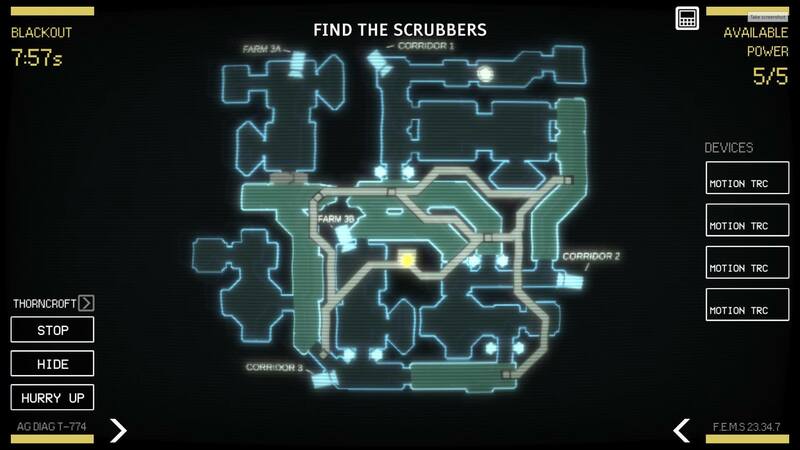 However, the tracker activates only on certain colored areas on a map. When you tap “Motion TRC”, you notice that a colored region gets highlighted and blinks, suggesting that the senor is being turned on for that area. If the xenomorph roams about in that area, the tracker will show its position with a red blinking dot, alerting you and helping you decide what actions are to be assigned to a crew member to avoid any direct confrontation with the xenomorph. Stop/Go: Tap Stop and the member stops moving. Tap Go to resume movement. Hide/Come Out: Orders your crew member to hide. When you tap this action, the selected member quickly hides somewhere close. Tap “Come Out” and the member will stop hiding and continue moving towards his/her objective or complete a task. You can order a person to hide when you sense danger and he or she is in the middle of a task. Hurry Up/Sneak: When there’s less time and you have a crucial task on hand, you just have to tap “hurry up” and the selected crew member will move fast. You can then tap “sneak” to make him move cautiously. For example: If there’s a play button symbol next to a crew member’s name, it suggests that he/she is completing a task. Tapping the bottom-most part of the screen lets you access Amanda Ripley’s hideout. Now tap the monitor again to bring up the holographic map. Now let’s find out what are those icons shown on a mission map. On the map, the yellow dot is Amanda. You can access her hideout by tapping that dot. White dots are NPCs or the crew members you would be interacting with. Tap a crew member and then draw a path. He/she will follow the path. The tunnel network that goes through different rooms and corridors are actually vents. You will notice that these vents are connected to Amanda’s hideout. 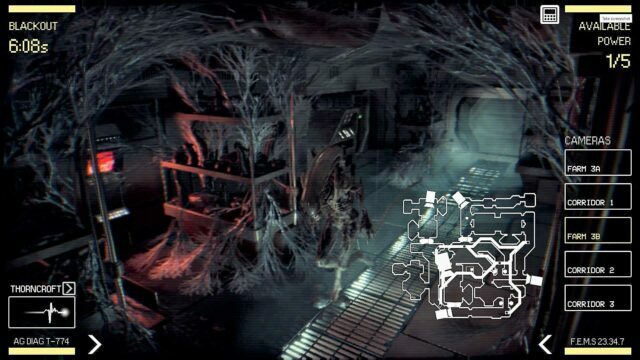 The xenomorph climbs into the vent when he is trapped and may find its way to her hideout through the vents. Tapping a camera icon will let you view the surroundings where the camera is installed. You can switch between all active installed cameras to monitor the xenomorph’s movement in real-time. 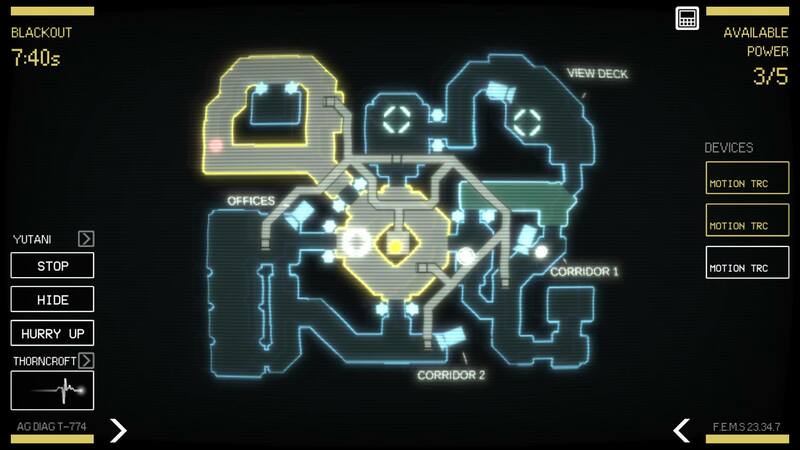 The white arrow-like icons on the map are doors. Tap a door to close it. Tap it again to open it. When close a door, you consume 1 unit of available power. Keep in mind when interacting with doors. Now that you know how to play Alien: Blackout, check out these useful tips and hints to survive in the space station. The game has excellent sound effects and dramatic background music to keep you on the edge of your seat. Sound and music not only crank up the fear factor but also provides certain hints that will help you avoid any direct confrontation with the xenomorph. Make sure you put your headphones on when playing Alien: Blackout. Certain sound cues can alert you of the xenomorph’s movement and his presence. Heavy breathing of NPCs, sudden increase in background music, crew members telling you that they can feel its presence – such hints are enough to make you abandon plan A and go for plan B to complete all objectives. Your heart will skip a beat when your crew members panic at the sight of the xenomorph and this could probably be their end, unless you quickly order them to hide or hurry up. One of the most terrifying sounds is the xenomorph scuttling through the vent. The alien’s movement pattern is unpredictable. You can hear it clearly only when you put your headphones on. It gets scarier when you hear the sound coming close and this when you should quickly switch to Amanda’s hideout and close all vents leading to her refuge before it comes for you. It’s quick, deadly and can appear suddenly anywhere anytime, thanks to those vents. However, you can track xenomorph’s movement via cameras or by activating motion trackers. With a motion tracker turned on, you could see a red blip on the tracking area on your map whenever the xenomorphs moves in that region. Things can be scarier when the blip suddenly disappears in the middle of the tracking area. This could possibly mean that it has climbed into the vent. You should start tracking his movement using cameras, keep your ears peeled for audio cues (NPC’s claiming to feel its presence, sounds of moving through the vent etc. ), tap the bottom of the screen to go to Amanda’s hideout and use motion trackers to constantly monitor activity around the space station. When you start a level, you should turn on all motion trackers. This will make it easy to monitor his movements on the map itself. You can later turn off a tracker which is not of use to you. Turn off those when crew members have moved beyond those areas where the trackers were installed. And if you can’t see that red blip on all trackers, tap each camera to see what it’s up to. 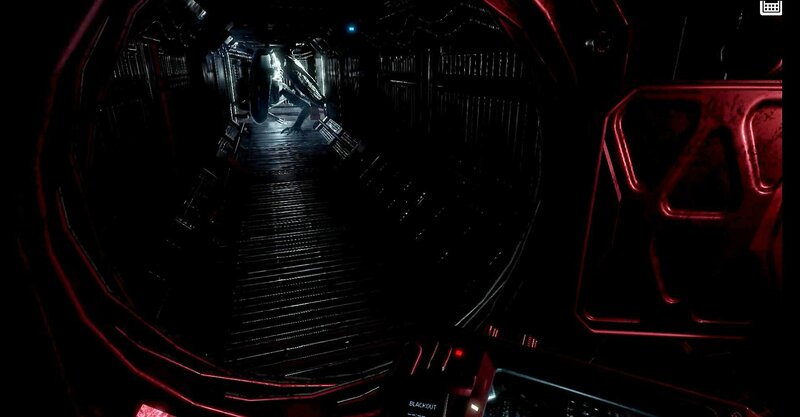 Monitoring the xenomorph’s movement using motion trackers and cycling through cameras constantly will help you guide your crew members through objectives easily without having to worry about a sudden and unexpected confrontation. In Alien: Blackout, NPC path-finding is good, but sometimes a confused and scared crew member might take a longer route to the objective. This is when you should draw a path from the crew member to the objective if there’s a shorter route available. Each level has a complex setup comprising various corridors and rooms and you will have to complete a set of objectives before time runs out. You must make sure that your crew member completes an objective as soon as possible and finding shortcuts to objectives should your priority when there are various ways leading to the same objective. When you select a crew member and assign the “hurry up” order, he/she will move faster. This could be risk as their footsteps, heavy breathing may catch the attention of the xenomorph. You should use this command only when you feel there’s no danger around. 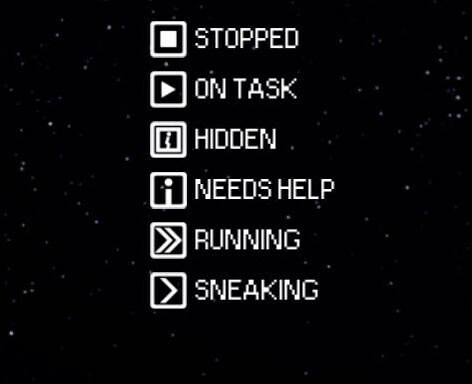 You can also use this command when a crew member is completing a task. This will make him complete it faster. So, you have safely guided a crew member to his objective? Well, the danger is not yet over. He will have to complete that objective and it will take some time to finish it. You never know when the xenomorph bumps into an unsuspecting NPC on his task which is why you should close any doors leading to him to remain on the safe side. You can open them once the crew member finishes his task. This will totally isolate him from any dangers. You should also close any door if you spot the alien entity near it through cameras or motion tracker. Your goal should be to keep the distance between the xenomorph and a crew member as long as possible. You should close doors which you think can lead the alien entity to a crew member. Just make sure you don’t close those that lead to a safe location. The white dot represents a crew member on the map. A red arc around it suggests that the crew member is very scared because he/she can hear it rustling through vents or move around close by. You should quickly order such crew members to hide. Don’t order them to come out until the danger is over. Also, quickly check all cameras and turn on all motion trackers to quickly locate the alien entity.